Andrew James Fitness Adjustable Tension – Resistance Bands – Contemporary Finish – 2 Year Warranty Mid range VIEW PRICE HERE! Homcom Mini Scan & Repeat Functions – Training Ropes – Adjustable Tension – Floor Mat Mid range VIEW PRICE HERE! 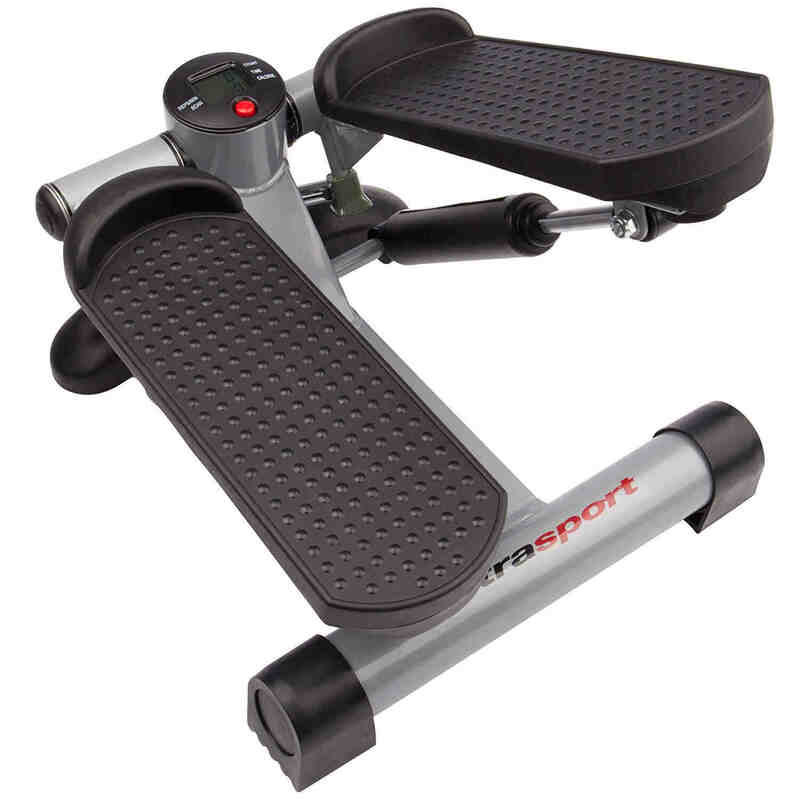 Ultrasport Track Your Workout – Consistent Tension – Retro Appearance Affordable VIEW PRICE HERE! A stepper offers the opportunity to perform a simple, low impact, aerobic workout in the comfort of your own home without the space-invading properties of bulkier equipment. The primary benefit of a stepper machine is that it targets the lower body and is effective at toning your legs without adding the ‘bulk’ we associate with higher impact work like weights or squats. A stepping machine targets the hamstrings, calves, hips and quadriceps. In addition, the 3 machines we are looking at today do not have a fixed handle bar so rely upon balance and ensure that your core is engaged. Always a bonus when you can build in ab work too! They may lack the range of motion of a full stair climber but their affordability softens that blow. This stylish piece of kit reinforces Andrew James’ reputation for quality (CHECK PRICE!). The brushed silver and black finish is sleek and contemporary while the resistance bands help to take your workout to the next level. Targeting the upper body in tandem with the lower and offering the opportunity to throw bicep curls, high pulls and lateral rises into the mix. Textured foot pads allowing an enhanced grip and balance to engage that core. Adjustable tension to find a comfortable starting point and then crank up the challenge. An integrated digital display to track your stats. Logging calories burned, time spent on the machine, steps taken and steps per minute. 2 Year Warranty – no registration required – to safeguard your workouts going forward. Optional resistance bands (and tools for fitting them) included. The Andrew James Fitness Stepper earns its number one spot by virtue of the versatility it offers. The calorie counter incentivises you to push further and the adjustable tension and resistance bands will give you the opportunity to do so. It is a sturdy machine whose elevated price is justified by these benefits. Aesthetically it is the clear winner here too. The Homcom Mini Stepper is a nice home exercise solution. Lacking some of the bells and whistles of its pricier counterparts – and being a little more basic in appearance – it nevertheless offers that effective, low impact, aerobic workout we’re looking for. Once again electronic readouts keep you on pace. And training ropes offer the option of added difficulty and upper body engagement. The Homcom’s lighter weight and portability make for easy storage so you’ll need to be sure out of sight doesn’t mean out of mind! A sturdy steel body with textured non-slip foot pads and dual hydraulic cylinders. Scan and repeat functions to help you track your progress easily . Adjustable tension knob to change pedal height and swing. A floor mat to prevent damage to carpets/laminate/wooden flooring. 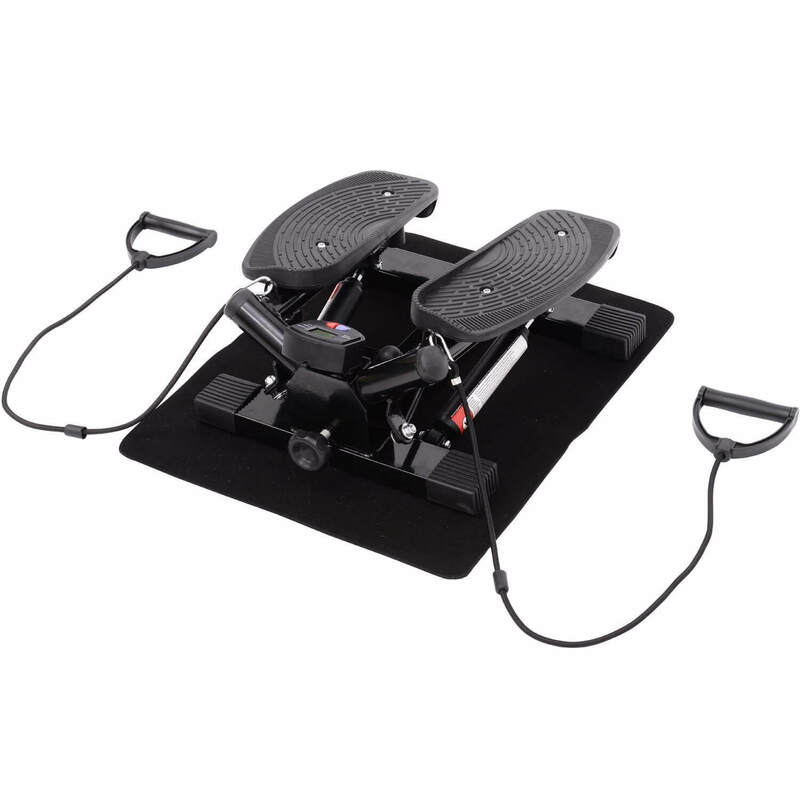 The Homcom Mini Stepper is a good option for those who prefer exercise equipment to be more understated. The machine itself offers reasonable value for money but the addition of the floor mat is a true selling point here. Undeniably home exercising can be intrusive and this, in addition to the resistance ropes, is a valuable add-on to a solid home exercise product. 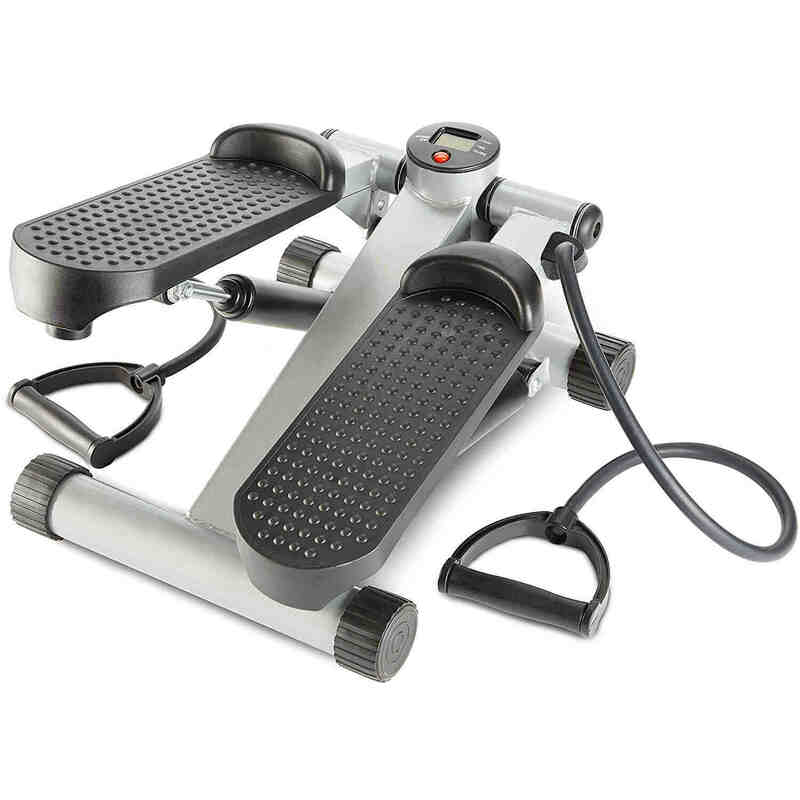 The Ultrasport Up-Down Stepper (exclusive to Amazon) is an ideal beginner’s machine. The stepping motion helps you build endurance while the lack of a tension adjustment allows for a consistent workout as your strength increases. The Ultrasport Up-Down Stepper is rather a blast from the past. An uncomplicated but not unattractive machine with a limited life span for anyone who is more serious about building onto their exercise regime but positive appeal to those seeking regular endurance building. The quality of design and potential for evolving additional levels of difficulty into the workout make Andrew James’ Fitness Stepper our standout stepper. At a price point only a few pounds greater than the Homcom Mini Stepper, it stands head and shoulders above it in terms of value for money. While the 2 year warranty gives additional peace of mind.